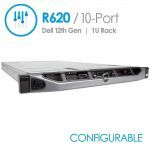 Enhance data center application capacity by expanding your virtual environment using the massive memory footprint, I/O (input/output) options, processing power and flexible fabric choices of the PowerEdge R820. 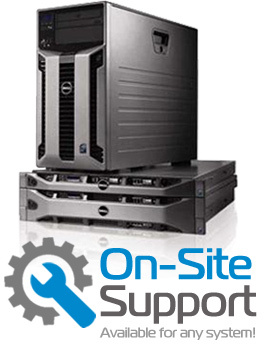 The 2U, 4 socket R820 features unrestrained production and peak server performance that is a CRN Test Center Recommended system. 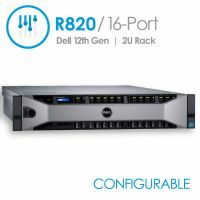 CRN recommends the PowerEdge R820 because of its "improved speed and greater expandability than its predecessor and for being a highly capable server for virtualization, transaction processing, HPC or general computing needs." 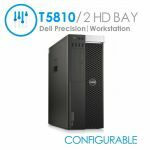 Powerful systems management - Enjoy easy lifecycle manageability with intelligent hardware-driven systems administration, extensive power management and other innovative management tools. 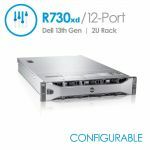 Keep pace with exponential data growth - Make storage work for you with up to 16 2.5" internal hard drives (up to 16TB capacity) and integrated PCIe 3.0-capable expansion slots for extra capacity and functionality. 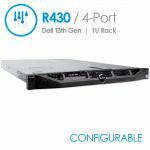 State-of-the-art Processing Power: Intel Xeon processor E5-4600 product family and hyper-dense, 48-DIMM memory. 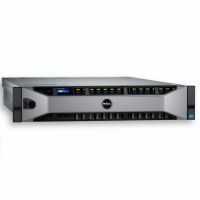 Built using 32-nanometer process technology with up to eight cores per processor, the Intel Xeon processor is designed for super-fast performance for compute-intensive tasks. More information can be found on the official Dell PowerEdge R820 Specs PDF.